Need to find a couple articles from a scholarly journal to summarize for class? Database searching can be difficult. 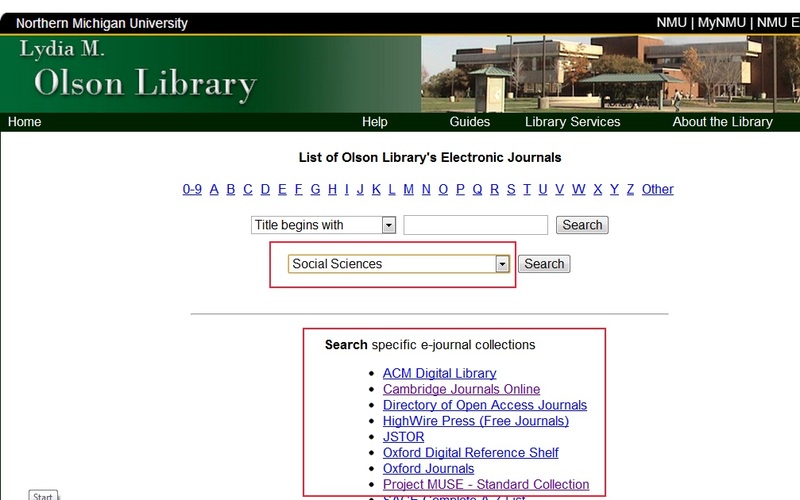 If you only need a few articles you might try browsing the library’s e-journal portal. The portal has a drop down window where you can select a subject area in which to view electronic journals (red box at top) or some large collections of ejournal publisher (red box at bottom). 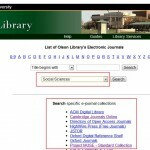 Finding a few journal articles has never been easier!